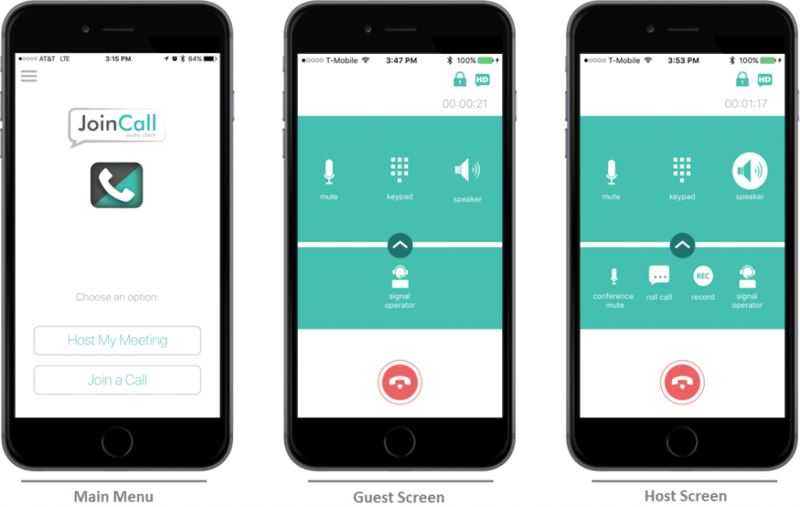 Compunetix proudly introduces the JoinCall Audio Client, its new HD and SD capable voice collaboration app, available now for free in the Apple iTunes and Google Play App Stores. This unique tool facilitates clear, concise collaboration between participants with just a touch of a button, minimizing conferencing complexities and maximizing the auditory experience. There’s no need to remember passcodes or dial-in numbers just simply enter a few user details…that’s it! This streamlined process enables you to quickly and easily join a call. Start hosting your next meeting with a single push of a button. Effortlessly mute and unmute your line, signal the operator, initiate a roll call, record the conference, and more with the convenient in-app call controls. JoinCall encrypted voice conferencing and secure SIP signaling provide confidentiality, message integrity against manipulation, and authentication all via key distribution and certification. Experience JoinCall in standard definition or with the superior audio quality of High Definition (HD) voice. From participant voices and audio prompts to conferencing recording and playback, every sound is crisper and clearer with JoinCall.